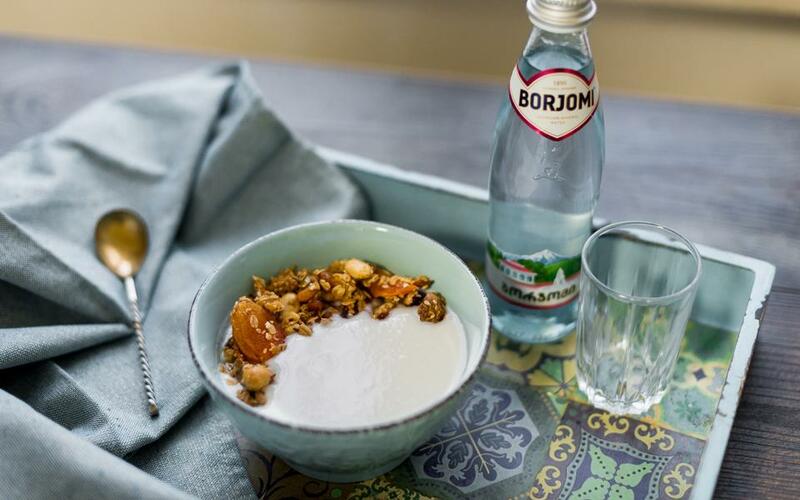 First of all, we start preparing the yoghurt: place sour milk in a small bowl, add some honey and stir until it gets a cream-like consistency. This is it! The yoghurt is ready. 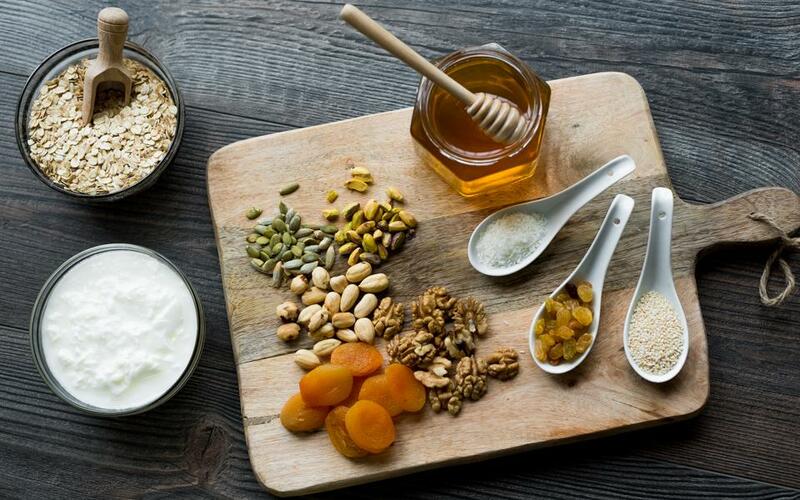 To prepare granola: place all the dry ingredients together, add honey and stir until the honey will be equally allotted on everything. 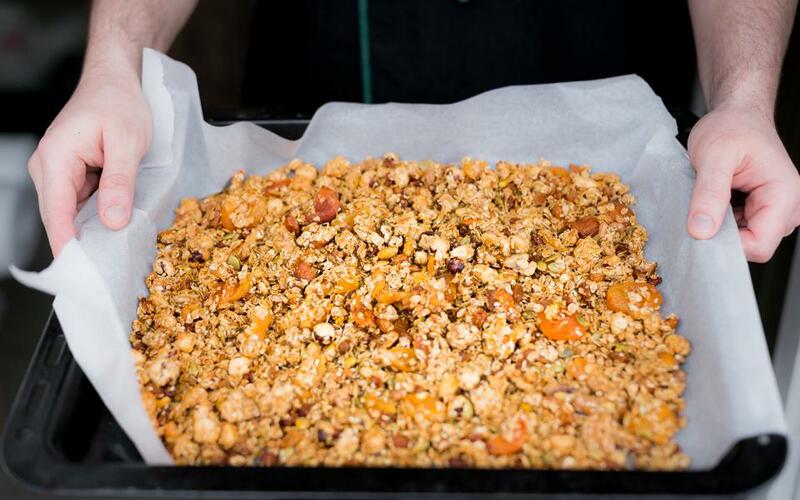 Place baking parchment on the furnace, put the product in one layer and bake for 40 minutes on 160 celsius. 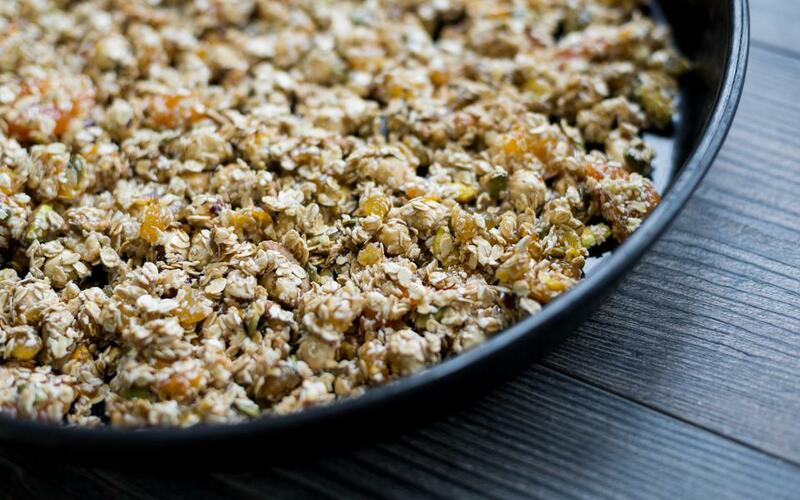 Serve granola with your homemade yoghurt. Enjoy!